Will your treatment regimen be affected? In March 2016, the Centers for Disease Control and Prevention (CDC) published guidelines for prescribing opioids for chronic pain outside of active cancer treatment, palliative care, and end-of-life care. The 90+ page report may be more than most patients can or want to digest. The headlines were enough to worry many chronic pain patients though, especially those who jumped to the conclusion that medications they depend on for pain relief and quality of life would become difficult, if not impossible, to obtain. I've summarized the recommendations below and also asked for comments from rheumatologist Scott J. Zashin, M.D. to help arthritis patients understand how the guidelines may affect them. In short, the CDC stated that patients with pain should receive treatment that provides the greatest benefits relative to risks. For long-term chronic pain patients, the CDC said "Although opioids can reduce pain during short-term use, the clinical evidence review found insufficient evidence to determine whether pain relief is sustained and whether function or quality of life improves with long-term opioid therapy. While benefits for pain relief, function, and quality of life with long-term opioid use for chronic pain are uncertain, risks associated with long-term opioid use are clearer and significant." Now, lets dig deeper. 1 - Nonpharmacologic therapy and non-opioid pharmacologic therapy are preferred for chronic pain. Doctors should consider opioid therapy only if expected benefits for both pain and function are anticipated to outweigh risks to the patient. If opioids are used, they should be combined with nonpharmacologic therapy and non-opioid pharmacologic therapy, as appropriate. 2 - Before starting opioid therapy for chronic pain, doctors should establish treatment goals with all patients, including realistic goals for pain and function, and should consider how opioid therapy will be discontinued if benefits do not outweigh risks. Opioid therapy should be continued only if there is clinically meaningful improvement in pain and function that outweighs risks to patient safety. 3 - Before starting and periodically during opioid therapy, doctors should discuss with patients known risks and realistic benefits of opioid therapy, as well as patient and clinician responsibilities for managing therapy. 4 - When starting opioid therapy for chronic pain, doctors should prescribe immediate-release opioids rather than extended-release/long-acting (ER/LA) opioids. 5 - When opioids are started, doctors should prescribe the lowest effective dosage. Doctors should use caution when prescribing opioids at any dosage, should carefully reassess evidence of individual benefits and risks when considering increasing dosage to ≥50 morphine milligram equivalents (MME)/day, and should avoid increasing the dosage to ≥90 MME/day—or carefully justify a decision to titrate the dosage to ≥90 MME/day. 6 - Long-term opioid use often begins with treatment of acute pain. When opioids are used for acute pain, doctors should prescribe the lowest effective dose of immediate-release opioids and should prescribe no greater quantity than needed for the expected duration of pain severe enough to require opioids. Three days or less will typically be sufficient, while more than 7 days will rarely be needed. 7 - Doctors should evaluate benefits and harms (damage, injury, or adverse events) with patients within 1 to 4 weeks of starting opioid therapy for chronic pain or prior to increasing the dose. Doctors should evaluate benefits and harms of continued therapy with patients every 3 months, if not more frequently. 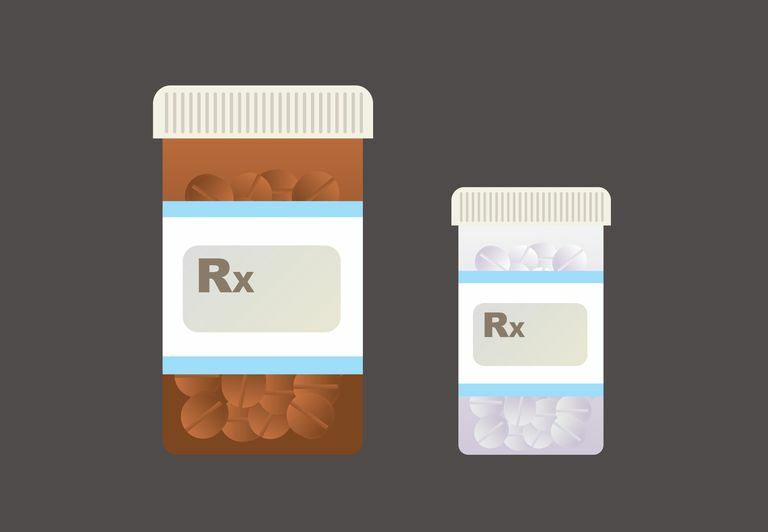 If benefits do not outweigh harms of continued opioid therapy, doctors should focus on other therapies and work with patients to taper opioids to a lower dosage or to taper and discontinue opioids. 8 - Before starting and periodically during continuation of opioid therapy, doctors should evaluate risk factors for opioid-related harms. Within the treatment plan, doctors should include strategies to mitigate risk, including considering offering naloxone when factors that increase risk for opioid overdose, such as history of overdose, history of substance use disorder, higher opioid dosages (≥50 MME/day), or concurrent benzodiazepine use, are present. 9 - Doctors should review the patient’s history of controlled substance prescriptions using state prescription drug monitoring program (PDMP) data to determine whether the patient is receiving opioid dosages or dangerous combinations that put him or her at high risk for overdose. Doctors should review PDMP data when starting opioid therapy for chronic pain and periodically during opioid therapy for chronic pain, ranging from every prescription to every 3 months. 10 - When prescribing opioids for chronic pain, doctors should use urine drug testing before starting opioid therapy and consider urine drug testing at least annually to assess for prescribed medications as well as other controlled prescription drugs and illicit drugs. 11 - Doctors should avoid prescribing opioid pain medication and benzodiazepines concurrently whenever possible. 12 - Doctors should offer or arrange evidence-based treatment (usually medication-assisted treatment with buprenorphine or methadone in combination with behavioral therapies) for patients with opioid use disorder. Question: The CDC guidelines for prescribing opioids seem to focus on when to initiate opioid therapy in a new patient with pain symptoms. Does it recommend trying non-opioid treatments prior to taking opioids? Dr. Zashin: The guidelines recommend that non-opioid treatments be tried before prescribing opioids for chronic pain. Non-opioid treatments for pain include, but are not limited to, cognitive behavioral therapy, treatment of comorbidities (such as depression and sleep apnea), and alternative treatments that help with pain including acetaminophen, NSAIDs, tricylic antidepressants, SNRI's (such as [Cymbalta] duloxetine) and anticonvulsants (such as [Neurontin] gabapentin). Opioids are appropriate for arthritis patients when pain control is needed and standard therapy for the particular type of arthritis or alternative pain control treatments are not helpful or are contraindicated. Question: The guidelines emphasize weighing the benefits and risks for opioid therapy. Does this suggest that individual patient assessment for benefits versus risks is what is necessary? Use the lowest effective dose. Carefully assess whether the benefits outweigh the risks, especially if the dose is equal or greater to 50 MME (morphine mg equivalents) per day (e.g., 50 mg of hydrocodone [Norco] per day). Avoid increasing the dose to 90 MME/day or higher. Also, patients need to understand that doctors will need to see them back in the office within one month or sooner if starting opioids for chronic pain—and at a minimum of every 3 months for all patients taking opioids. Question: What else must patients understand about the new guidelines? Dr. Zashin: Urine tests to check for other controlled substances may be ordered before treatment and at follow-up visits, as the combination of narcotics with other controlled substances (e.g., benzodiazepines) may increase the risk for complications, including but not limited to breathing issues which may be life-threatening. The CDC stated that the guideline provides recommendations based on the best available evidence that was interpreted and informed by expert opinion. The clinical scientific evidence informing the recommendations is low in quality, however. To inform future guideline development, more research is necessary to fill in critical evidence gaps. As new evidence becomes available, the CDC plans to revisit the guideline to determine when evidence gaps have been sufficiently closed to warrant an update of the guideline. Until this research is conducted, clinical practice guidelines will have to be based on the best available evidence and expert opinion. This particular guideline is intended "to improve communication between doctors and patients about the risks and benefits of opioid therapy for chronic pain, improve the safety and effectiveness of pain treatment, and reduce the risks associated with long-term opioid therapy, including opioid use disorder, overdose, and death", according to the CDC. The CDC also stated that it is "committed to evaluating the guideline to identify the impact of the recommendations on clinician (i.e., doctor) and patient outcomes, both intended and unintended, and revising the recommendations in future updates when warranted." The ultimate bottom line: The guidelines were put forth to improve safe use of opioid treatment and to identify cases of improper use. It is not an across the board effort to eliminate opioid therapy in an appropriate population of patients. If you take opioids for chronic pain, start a discussion with your doctor about the benefits and risks in your individual case. Even if you have had this discussion in the past, do it again and do it periodically. Pain is not a static entity—it worsens and it can get better. Communication about opioids and about pain is the responsibility of both the doctor and the patient. CDC Guideline for Prescribing Opioids for Chronic Pain — United States, 2016. MMWR. Recommendations and Reports. March 18, 2016. 65(1);1–49. Which Medications Cause Mouth Sores in Arthritis Patients?